The Humane Society of Central Oregon has established the Paws of Hope Circle to recognize individuals, families, corporations, and foundations that donate $1,000 or more annually towards our mission to enhance the lives of animals and community members and to care for the animals that need our help the most. For less than $20 per week, you can make a difference in the lives of the 4,000 animals that come through our doors each year. 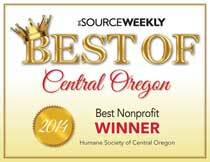 Comfort in knowing that your contribution is providing for the animals of Central Oregon. You can join the Paws of Hope Circle by donating below, by mail, over the phone, or by visiting the shelter. 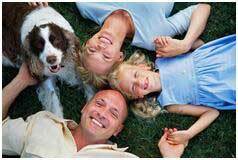 If you would like more information or have any questions, call John Houchens at (541) 382 3537. Download a brochure here. Refund Policy: To request a refund, please call 541-382-3537. Refunds are returned using the original method of payment, except cash donations will be returned via check. If you made your donation by credit card, your refund will be credited to that same credit card.